Welcome to Direct Listing Service, where landlords, buyers, and tenants connect directly. Advertise, search and view properties without an agent, for zero commission. 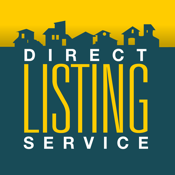 Direct Listing Service even provides all the resources you need to manage any property transaction -it’s easy with Direct Listing Service.